yesterday was so great! 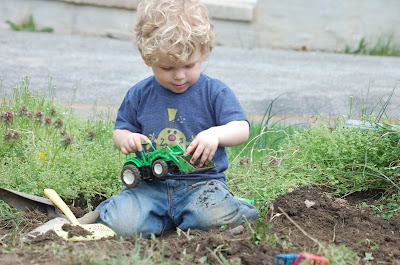 we are in the process of fixing up the backyard, so there are a lot of dirt areas for owen to play in now. he absolutely loves it. i got him these really cheap plastic tractors and farm stuff, which he is thoroughly enjoying.